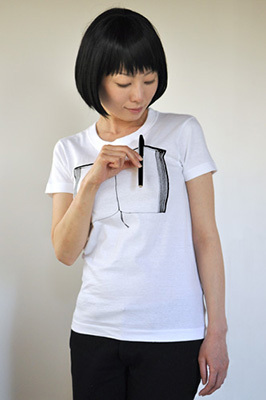 T-shirt with a real felt pen. What's shining on the illustration of notebook?? It's a real black felt pen. 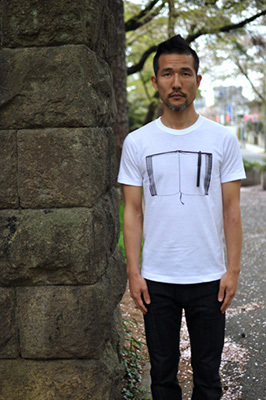 It is a very smart and convenient T-shirt. You can take the pen off the t-shirt whenever and whereever you need to write down the memo suddenly. 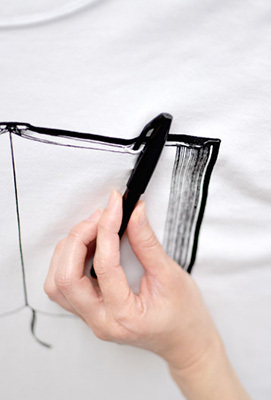 Felt pen goes onto the t-shirt like this. The reinforced button hole catch the pen. For a business meeting / For a sudden good ideas! An important call from your client! You want to write down a memo, but you need a PEN!! A very good idea suddenly comes to you, while looking out from the train window!! 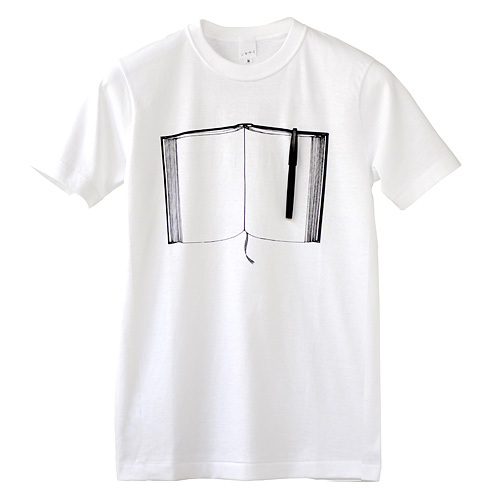 "Pen&Note" T-shirt is expecially for such people, active and creative. 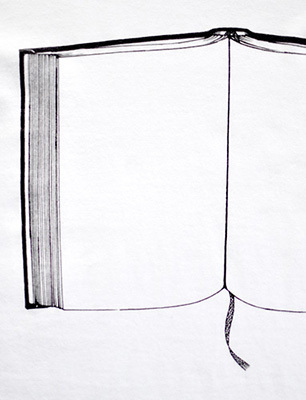 hand-drawn illustration goes to the detail, like the texture of the bookmark fabric.